Rain Rain, Go Away — Into a Harvesting Tank! It was yet another disappointing summer - you can tell how disappointed we are by the fact that we are talking about it in the past tense when it is only July! There is one good thing about lots of rain and that means plenty of it to harvest - our harvesting tanks are ideal for the job. So if you can't make hay while the sun shines then make water while the rain pours! Rainwater harvesting, albeit on a small scale, is common amongst many gardeners. Twistfix are proud to present our quality Harvesting Tanks which, quick, easy and cost-effective to install, can offer a capacity of more than 3,700 litres of stored water to use at your convenience, far excelling the standard barrels and other such containers currently used. This means you will always have a fresh supply of water when the next dry period unpredictably comes along. Aside from the obvious environmental benefits achieved by harvesting rainwater, there is also a great financial benefit. During an average year, dependent on location, the roof of a property will be subject to a deluge of in excess of 80,000 litres of rainwater. When it is considered that, an average session of using a garden sprinkler or hose uses approximately 150 litres of water at a cost of around 30p, the value of the rainwater that currently washes away into the gutters becomes plainly evident. By collecting and storing rainwater, that precious commodity, any necessary washing and plant/lawn watering jobs can be completed with ease in any season regardless of the weather. From cleaning greenhouses and patios to filling ponds, the uses of your massive store of water are endless. 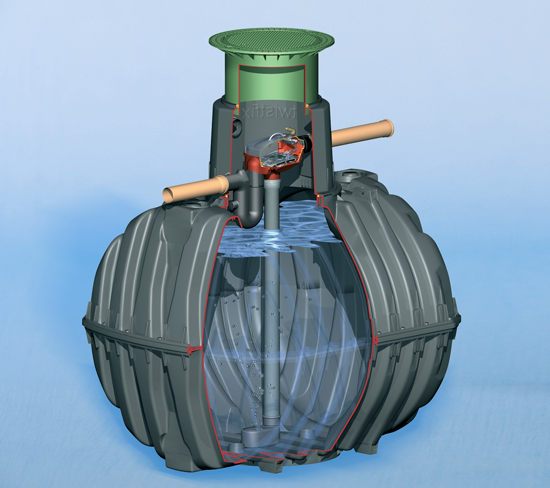 Twistfix Rainwater Harvesting Tanks are fully-automated rainwater recycling solutions comprising a strong, securely-lockable polyethylene tank, integral debris filters and an array of connections to facilitate the attachment of hosepipes or existing solid pipework. A powerful and fully-submersible pump completes the innovative and cost-effective design. For more information on the environmental and economic benefits of the Twistfix Rainwater Harvesting Tank system, please contact our expert team by phone, email or live chat on our website. Let it rain!